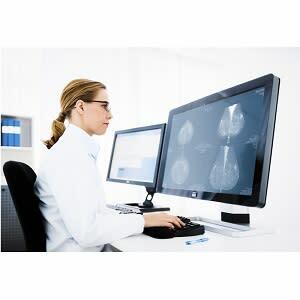 International medical imaging IT and cybersecurity company Sectra announces that Västernorrland County Council, in Sweden, orders Sectra’s solution for storing and reviewing digital pathology images. A digital pathology solution contributes to improving cancer care by providing shorter lead times. The solution will be used for primary diagnostics and will enable a deeper collaboration between both physicians and medical disciplines. Digital management of pathology examinations enables fast image access and facilitates sharing with other physicians when required. By reviewing the images digitally, the county council’s pathologists also have access to digital measurement tools, which contribute to increased reading efficiency. “Digitizing our pathology department enables us to handle many of the efficiency and collaboration challenges that healthcare is facing. One example is increasing efficiency before and during multi-disciplinary team meetings. Sectra’s solution meets our high requirements in terms of both capacity and performance, as well as in system availability,” says Ingela Pirttilä, Department Manager for Pathology at Västernorrland County Council. The county council will use Sectra’s digital pathology solution for storing and reviewing its approximately 110,000 pathology images per year. Sectra , medical IT , digital pathology,Sectra PACS,Västernorrland County Council’, cancer care, primary diagnostics, Ingela Pirttilä, integrated diagnostics International medical imaging IT and cybersecurity company Sectra (STO: SECT B) announces that Västernorrland County Council, in Sweden, orders Sectra’s solution for storing and reviewing digital pathology images.